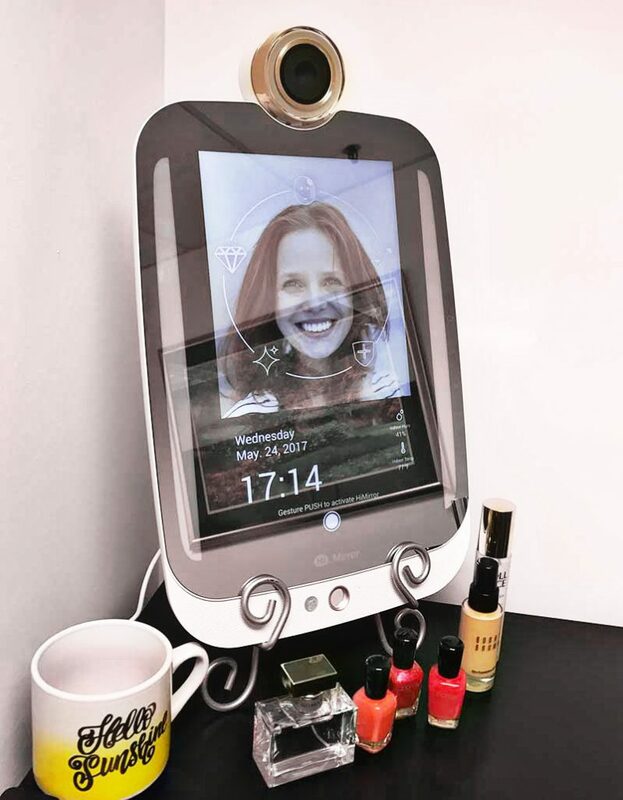 Back in December I shared a new tech device for beauty, the HiMirror! While I loved HiMirror, the company made an even better version. Now they are making routines easier with HiMirror Plus! What is HiMirror? 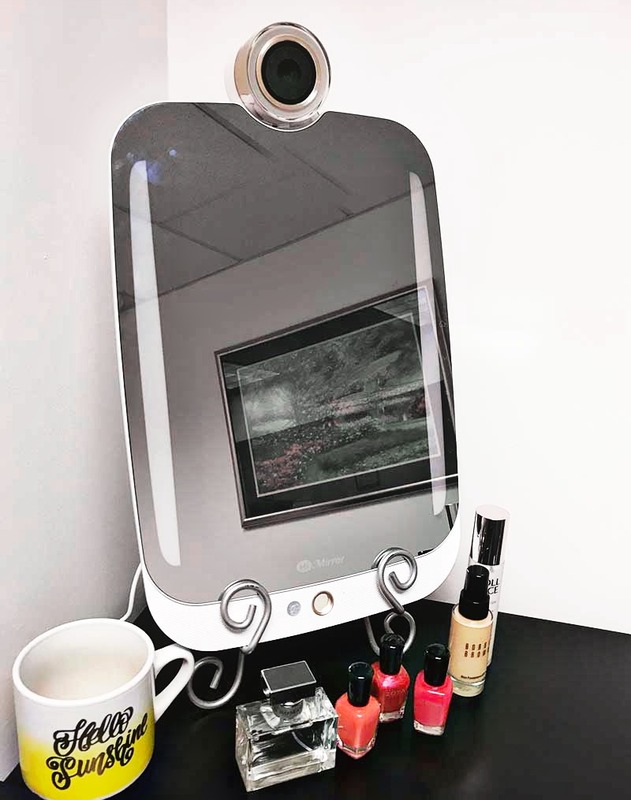 It’s a virtual at-home beauty consultant within a high quality smart mirror. HiMirror has the capability of taking quality pictures of your fresh face, analyzing it and will detect redness, dark spots, dark eye circles, wrinkles, fine lines, complexion and pores and help you target your personal skin needs to update your skincare routine. This way you aren’t messing with products you really don’t need. Once it finishes the analysis, it will suggest skincare products catered to your specific needs so you can start improving the appearance of your skin. The HiMirror saves all data of your sessions and tracks your progress as well. To get started with your HiMirror, you download their app and set up an account. This way you can take the data it collects with you on the go. 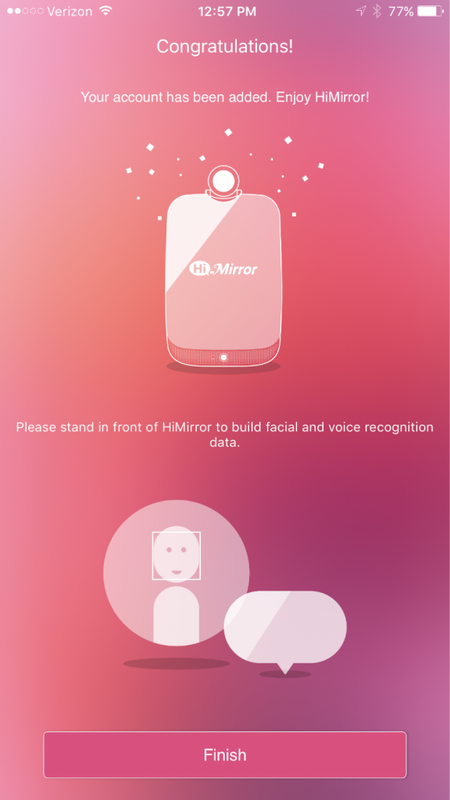 Once you have your account created, you are ready to set up the HiMirror’s facial and voice recognition. That’s right, it’s that personalized. Once you have your HiMirror installed, you download the app (available for Android and iPhone), pair your HiMirror with your WiFi and you are ready to go. 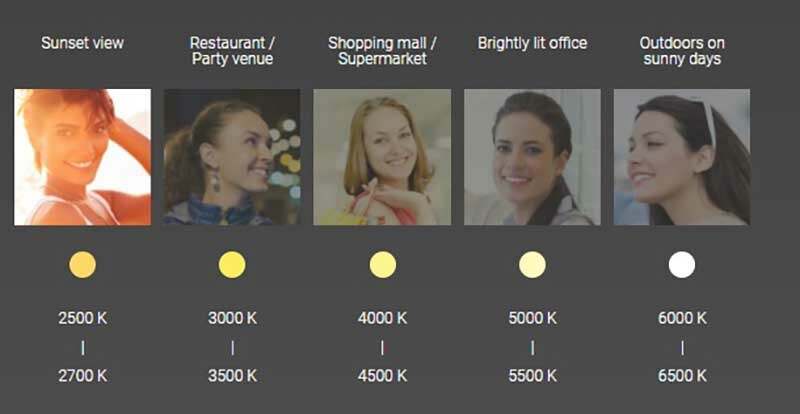 A big difference in the HiMirror and HiMirror Plus is that the HiMirror Plus takes it a step further by also having LED lights that simulate five different lighting scenarios which include sunset view, outdoors on sunny days, brightly lit office, shopping mall or supermarket, and restaurant or party venue. This way when you do your makeup, you can actually see it in the lighting you’ll be in for the occasion. Along with a new lighting feature, the HiMirror Plus also has expanded memory that allows for more users, but can also store a longer period of your skin analysis results so you can track your skin improvements better. The HiMirror was capable of storing 2,000 photos, but the HiMirror Plus can store 14,000 photos. BIG difference! 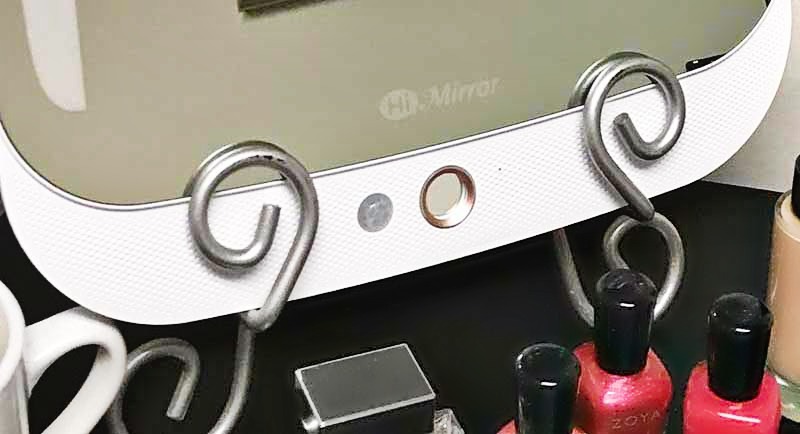 Much like the original HiMirror, the HiMirror Plus comes with the mirror, brackets for installation on either a wall or a larger mirror and a power adapter. I personally don’t hang things on walls, so I used a large metal photo easel to hold the mirror. I bought mine on Amazon, but HiMirror also carries a stand in their shop if you would rather not mount it as well. 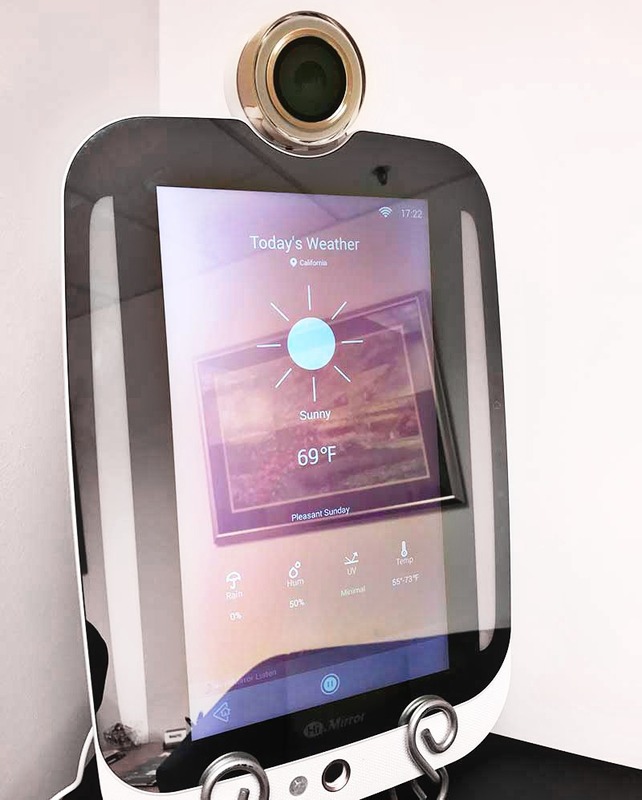 The HiMirror Plus also comes equipped with a high-resolution camera, built-in speakers and a microphone. You can also stream music through HiMirror while you get ready. I’m a music lover, so I absolutely LOVED this feature! Another new addition to the HiMirror family is the HiSkin! This small device is compatible with both versions of the HiMirror and helps measure your skin hydration and melanin levels. 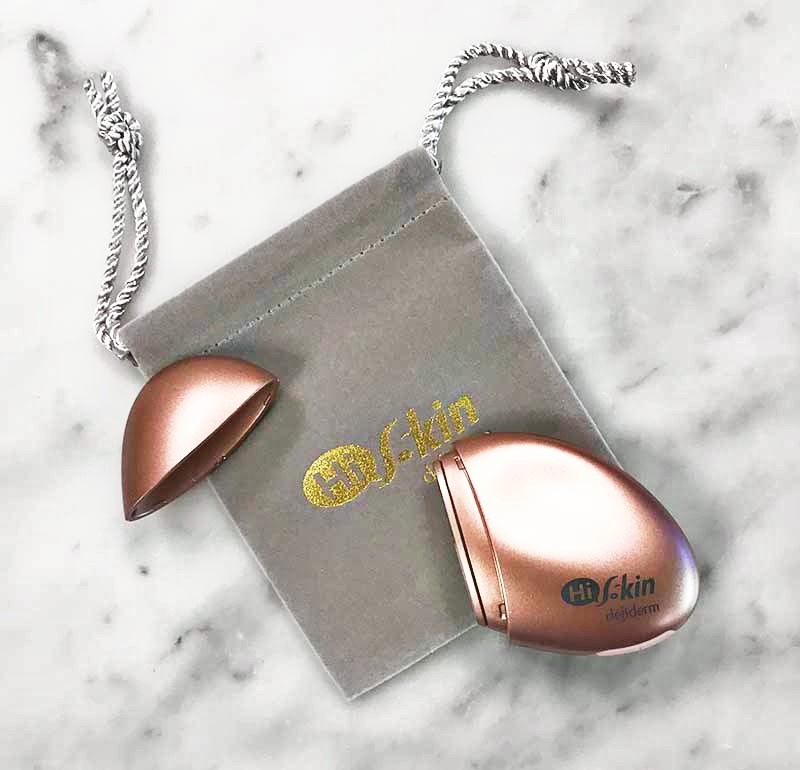 HiSkin’s revolutionary design combines electronic and diffusion photon engineering to non-invasively analyze, detect, and track cuticle moisture and pigment precipitation in five areas (forehead, eyes, upper cheek, lower cheek, and neck). 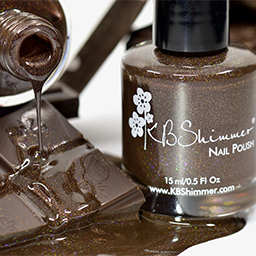 Because of it’s compact size, it’s easy for you to take it with you on the go. Both the HiMirror and HiMirror Plus are amazing additions to any beauty junkie’s vanity. It helps the user focus on real skin care concerns, both you might have known about as well as concerns you may not have paid attention to. The original HiMirror retails for $299 and the HiMirror Plus retails for $369 It’s a bit of a jump in price between the two, so you can check out the features between the two versions and decide which is best for you. Since I work in an office all day, I prefer the HiMirror Plus since it allows me to see my makeup while applying it in a similar lighting. What are your thoughts on the HiMirror Plus and HiSkin? Is this a device you think you’d like? I’d love to hear about it in the comments below! What an amazing device! 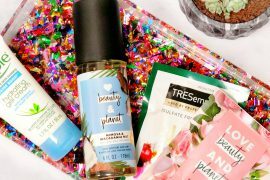 I am a novice when it comes to purchasing the proper beauty products for my specific skin care needs, so I could really use this. Love those lighting options too! I’ve been hearing a lot about Hi Mirror. I would love to have one of these. It sounds AH-mazing. I want one. I probably would not use it every day but it is just SO COOL! My mother had – WAY back in the day – a really cool mirror that had different shades of lights on either side that did something similar BUT it was of course NOT technical at all. It is so cool you were able to get your hands on this awesome mirror! It is very pretty too – and it’s awesome it shows the weather as well. Uggg I have to get one!! That is the coolest thing ever! I must have this in my life. Yay for technology! How have I not known about this yet? Well that is a super cool product to have! I love how far we’ve advanced since the old days of light up mirrors! This would come in handy when you’re out and about too. This is an awesome mirror. We talked about it awhile back on Morning Coffee, but you are the first person I’ve seen who’s actually had a chance to use one. It seems like an amazing mirror that can do so much and eliminate the need for multiple mirrors in the bathroom. This is an amazing idea. I would love to give HiMirror Plus a try. 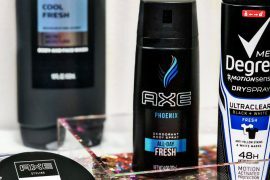 I hate to spend money on products I do not need. I never heard about this. It sounds great! I really need to check this out! The HiMirror Plus sounds amazing. 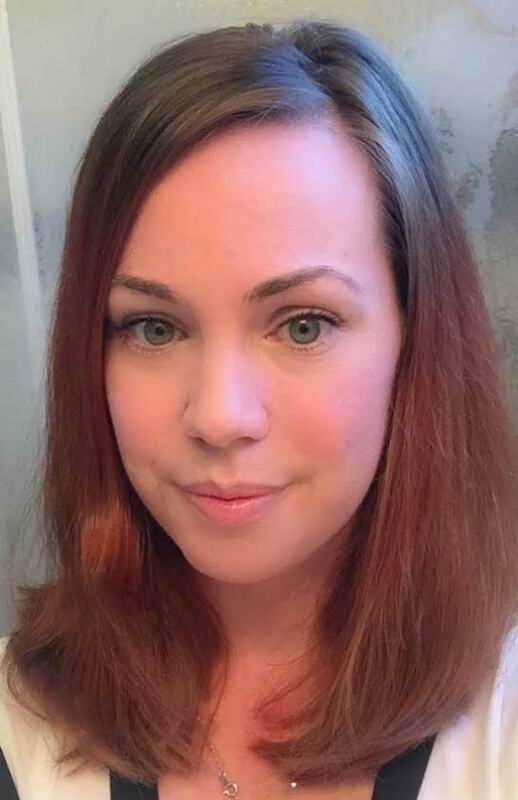 I love that you can track your skin improvements and store 14,000 photos along with 5 different light settings. Thanks for sharing a great review. What a smart mirror to have! It’s definitely going to make life easier especially for people who are very much into tech and gadgets like this. I think it’s pretty cool to have! I had no idea that mirrors could be so fancy and expensive! 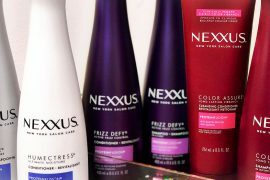 I think people spend a lot of time on their morning routine and women who love beauty would love this too! Oh wow, I need a HiMirror installed. I’ve never heard of this before. I’m going to check it out and the app. I love techy gadgets. Well that looks like a fun mirror! I’d love to have and use this. This is a pretty epic mirror! I can’t believe all the things it can do! Wow, this looks like either a mirror from the Sleeping Beauty fairytale! This newest amazing device that would be necessary for me to have, I need this! Will make me feel like I am ready for the day – so many functionalities in it! Wow this is so cool, that is something that I would love to have.